A new year is a good excuse to try something new, especially something that’s never been to Scottsdale before. Join us at The Arena Polo Party January 14th and 15th at the world famous Barrett-Jackson Collector Car Auction at WestWorld of Scottsdale. 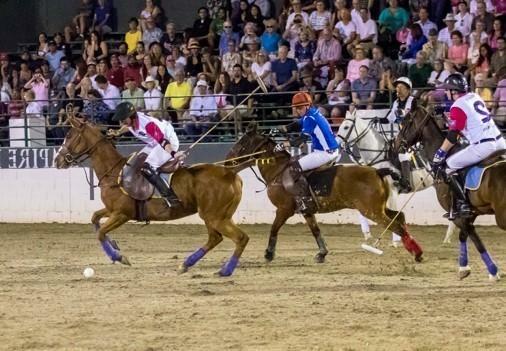 The Arena Polo Party at Barrett-Jackson will include two days of matches pitting the USA’s best against the UK, including the most prestigious match in arena polo – The Townsend Cup – for which teams from England and America have been competing since 1928. It’s an event that’s never been in Scottsdale before but thanks to the success of The Bentley Scottsdale Polo Championships and prestige of Barrett-Jackson, The Townsend Cup and related matches will help launch additional “horsepower” during Barrett-Jackson’s first weekend. Any General Admission to Barrett-Jackson provides entry to The Townsend Cup and other arena polo matches. Reserved VIP tickets in the first two rows and mid-arena seating are available for an additional $30. Both ticket levels can be purchased here. We look forward to seeing you. For any questions please call 480.423.1414.